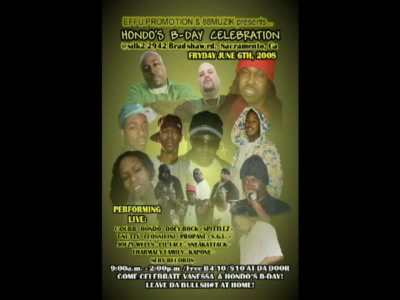 EFFU Hondo's B-Day Celebration 06-06-08. On The Spot Hosted by MC QBAll. Filmed and Edited by Matthew Hollstein for 916groove.com.